To paraphrase a well-known song, “I don’t like cricket,” and I don’t love it either. In fact I loathe the sport and all its inherent trappings with glacially paced matches that last for days, boring bowling and only slightly less boring batting providing very little in the way of drama or suspense, no matter what the overwrought promo trailers running on a certain satellite TV service provider’s sports channels might have you believe. So, being of the opinion that cricket is the best cure for insomnia, it was with severe trepidation that I cranked up the Ashes 2009 game disc and embarked upon an exhibition match. 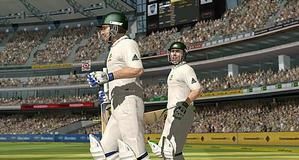 First impressions of Codemasters’ fully licensed cricket title are very good, boasting fairly decent visuals that impeccably replicate the starchy, staid atmosphere of a real game of bat and ball. The grass is lush green, the uniforms startlingly white and the balls shiny apple red. Essentially, everything is exactly as it should be for Ashes Cricket 2009. So far, so good. Cricket. Say it enough times and it begins to sound stupid. There’s also a nice, verbose commentary courtesy of Jonathan Agnew, Tony Greig and Ian Bishop, which also enhances the sedate vibe that gently coaxes you into a semi-hypnotised state as you play. 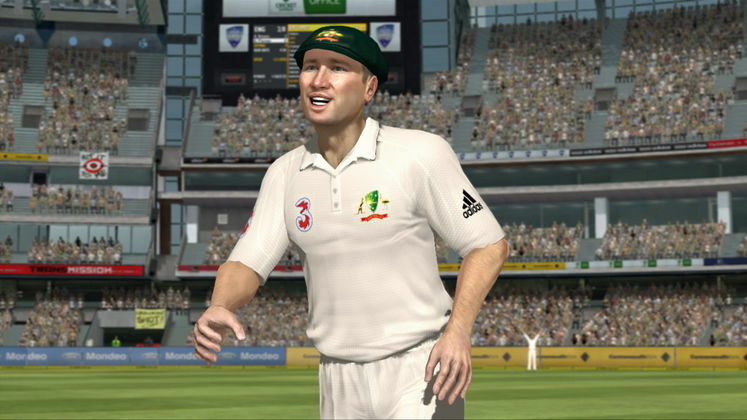 There’s no denying that developer Transmission Games has got the look and feel of a test match just right then, which bodes well for the rest of the experience. First of all however, we’d seriously recommend visiting the tutorials, where cricketing legends Shane Warne and Sir Ian ‘Beefy’ Botham talk you through the game’s intimidating mechanics. Batting, you’ll quickly learn, takes into account your footwork and timing, whereas bowling is an intricate art where taking a wicket is a feat achieved only through minutely adjusting and experimenting, like an exact science. Once you’ve taken the time and effort to complete the numerous lessons (that seemingly go on forever), everything gradually falls into place and the mechanics soon begin to make perfect sense. 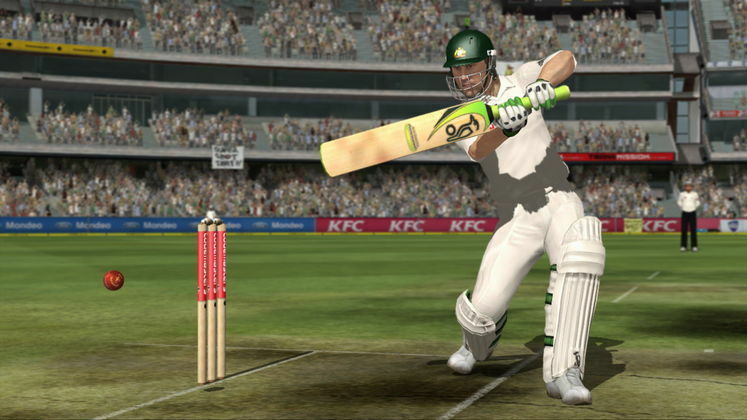 Batting involves a logical mixture of measured timing and positioning before you even consider the three options mapped to the face buttons with which you can strike the ball. Conservative play is possible by defending against a dangerous bowl, while an attack or lofted hit will drive the ball towards a nice, safe four runs. In the bottom left corner of the screen is a radar showing where your opponent’s fielders are situated, so you can rotate the analogue stick in the direction you feel will best evade the hands of a catcher. Switching your footwork is then your next concern, with back and front foot stances mapped to the right triggers, which you’ll need to hold down to modify your choice of shot. This is where your timing then comes into play once you’ve settled upon the shot and position you plan to hit the ball with. Upon impact, an on-screen indicator shows you how accurate your strike is, with a late or early swing resulting in an edge hit that will send the ball spinning out behind you towards a poised fielder. Screw up your footwork, and you’ll leave the stumps wide open too. Either way, you’re out for a duck if you fail to properly match up your stance and hit the ball properly. You can leave the footwork stuff to the AI by leaving the triggers alone if you’d prefer, but it’s better to maintain the extra control. Bowling is an altogether different beast, requiring far more consideration than the batting portion of the game. There are seven bowling variants, with throws that cut sharply inwards or outwards with plenty of spin, curve balls and probably a googly or two for good measure. You can bowl a slow ball to throw your opponent off guard, although playing against the AI invariably ends with your crafty bowl being countered by the batsman with ruthless efficiency. Nevertheless, it’s entirely possible to set up your fielders in such a way that catching a batter out is a surer route to success. Still, you have to contend with watching your flailing catchers let countless balls slip through their butterfingers before you’re presented with a catching opportunity that requires a hasty jab of the A button, lest you blow the chance to get a batsman out. It’s all curiously exciting stuff as we managed to get all ten opposing batsmen out during a 20 over match with only a paltry 268 runs to their name after our first attempt. Not too shabby. What initially appears to be a convoluted and impenetrable game actually turns out to be incredibly accessible and thoroughly playable. We even (very begrudgingly) started to feel a little respect for the gentlemanly sport; casting our minds back to the matches we’d played as kids, with the somewhat halcyon sound of singing birds and the thwack of leather on willow conjuring fond memories. It’s strange that a simple sports game managed to conjure up such feelings of dreamy nostalgia. Sob. 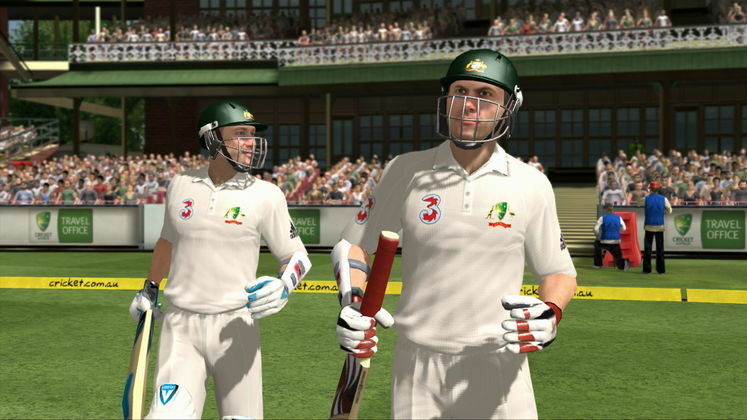 We expected to despise Ashes Cricket 2009 based on the fact that we despise cricket. 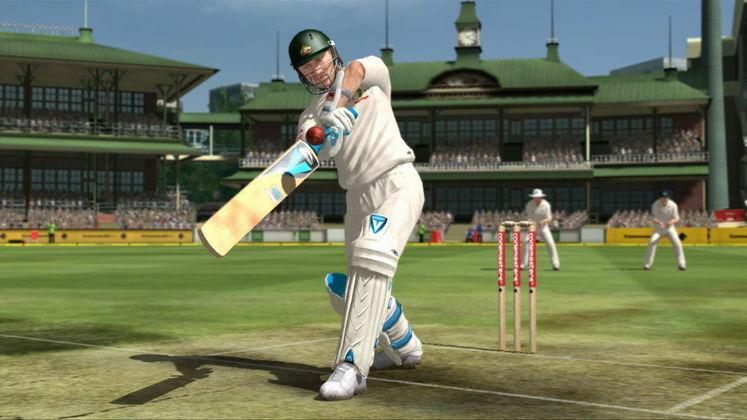 But we were pleasantly surprised to find that Transmission has created a game that actually manages to not only provide an enjoyable simulation of cricket - with multiplayer and several single-player options to sift through - it’ll possibly even pique your interest in the sport. For us, the boredom of watching the televised sport still endures, but at least now we have a genuinely entertaining alternative to sitting through hours of dull stop-start non-action. 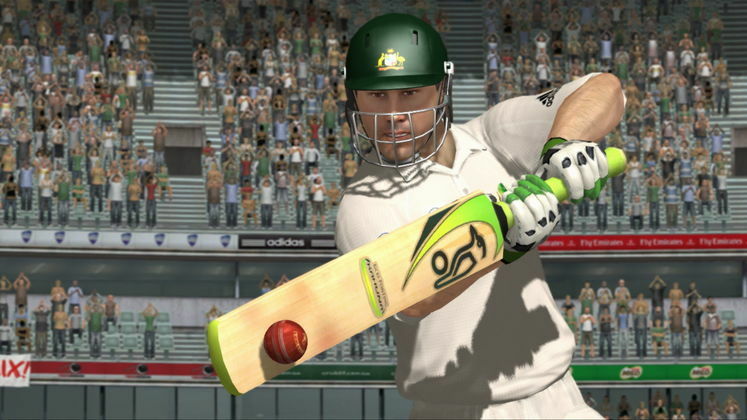 If you already love cricket, then you’ll absolutely devour everything Ashes 2009 has to offer, from full-on test matches (including The Ashes, obviously), one-day internationals and 20 over games. For the cricket haters like ourselves however, there’s still a glimmer of buried joy to be found beneath the hours of tutorials if you’re willing to dig for it. Ultimately though, our expectations have been defied by Ashes 2009. It’s just a real shame that the England cricket team can’t do the same. Coming to the realisation that Ashes Cricket 2009 isn’t utter arse gravy. It’s actually rather good. It is still cricket though.